The simple goal of improving grader productivity and efficiency within a minesite was the basis for a new invention from Proof Engineers. 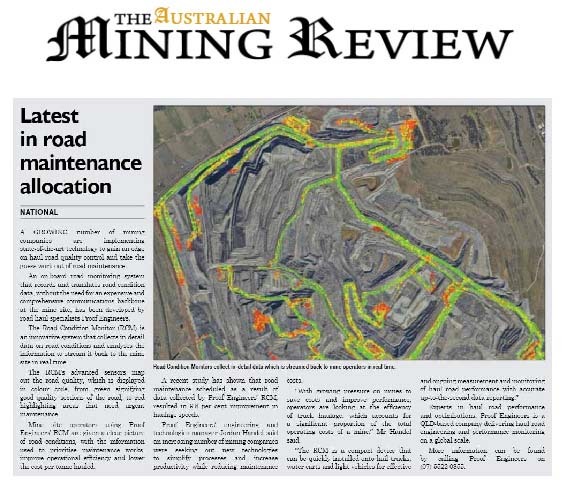 The product, Road Condition Monitor (RCM), enables mining operators to identify key areas for improvement across the minesite. A ground-breaking innovation designed by Queensland company Proof Engineers to monitor haul road conditions has been demonstrated by researchers to have the potential to revolutionise the mining industry. Does Your Site Need a Mobile Dust Monitor? The importance of designing a quality haul road can mean lower maintenance costs in the future for the upkeep of your site road, but can also maximise production during the lifetime of the road. What is a Mobile Dust Monitor? How do I get a Haul Road Designed? How do I Manage Dust on a Haul Road? 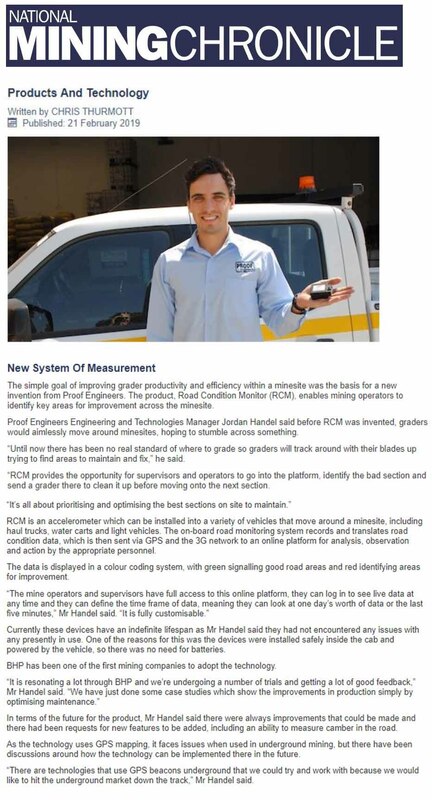 Ailbhe Goodbody catches up with Proof Engineers about its device for monitoring haul roads, which is being examined by Australian researchers. 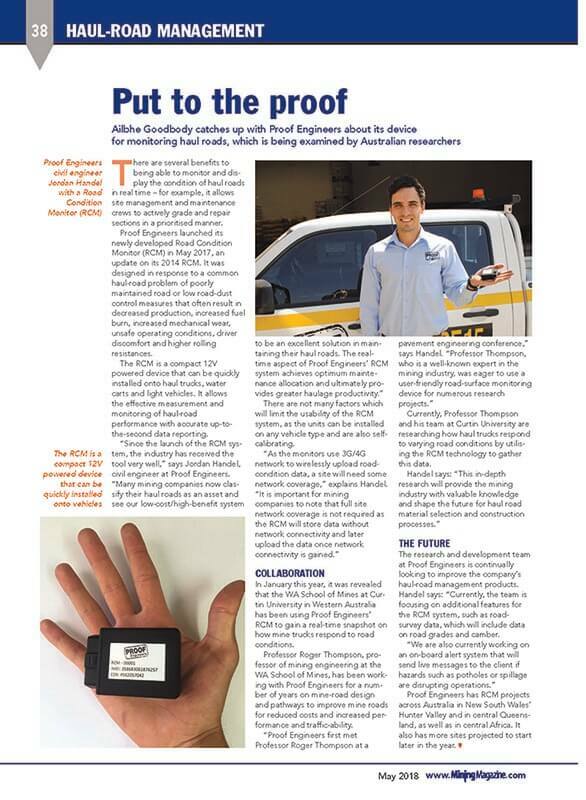 Queensland-based Proof Engineers has teamed up with Curtin University's WA school of Mines (WASM) on a new road monitoring device, the Road Condition Monitor (RCM).